Isolated vector leaves designs for your ecology, garden, botany, environment and growth designs. 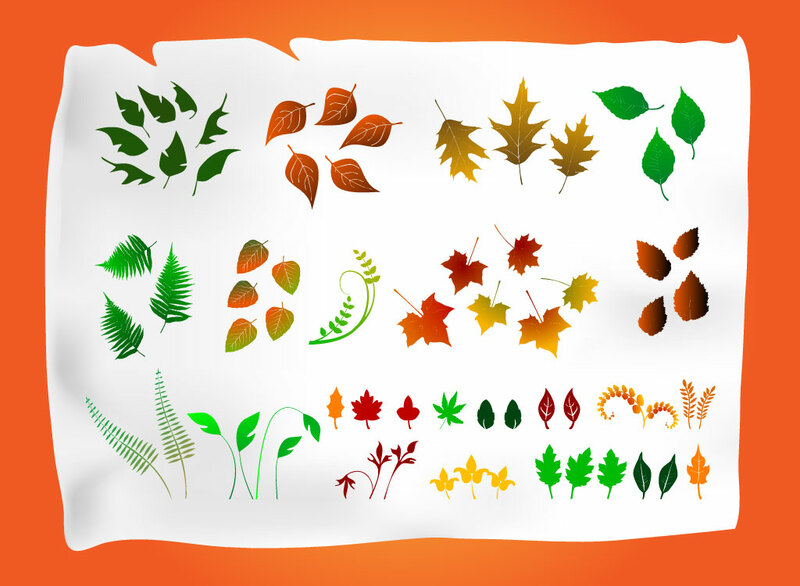 Download this vector pack with a huge assortment of leaves set on an orange background with white paper image. The graphics come in wide variety of colors from bright spring green to the beautiful and earthy reds, yellows and browns of autumn. Tags: Autumn, Ecology, Environment, Fall, Leaves Vectors, Life, Shapes, Spring.